A snug-fitting hip-length classic tee with set-in sleeves and a simple crewneck. This versatile tee is great for both boys and girls. Perfect for layering and easily goes with skirts, under jumpers or even paired with jeans – and it can be embellished in many ways. 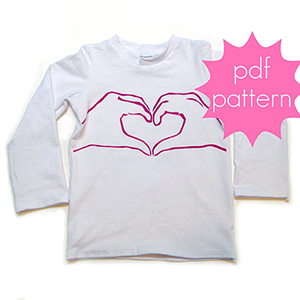 Pattern includes short, 3/4 or long sleeve options.